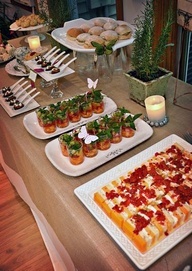 It’s important to serve delicious food and drinks at your holiday parties but in my opinion it’s just as important to serve your food in a beautiful way. Today I am going to show you some of my favourite service pieces and ideas. 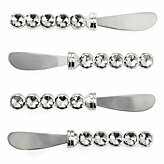 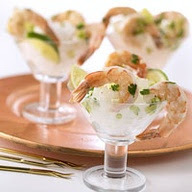 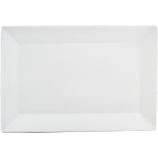 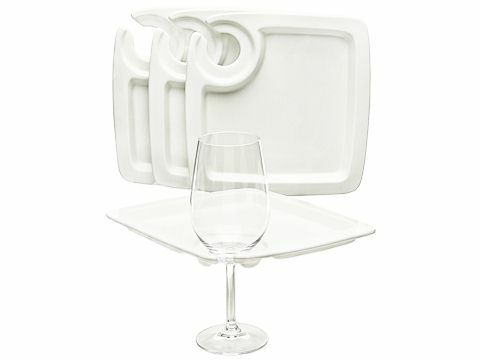 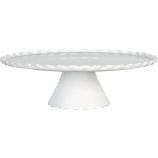 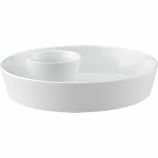 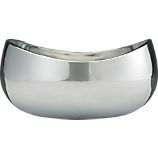 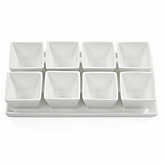 Zappos.com $52.99 Set of 4 These do double duty as a plate and wine holder! 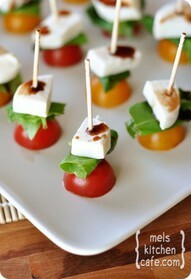 Food looks amazing on white. 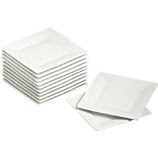 It’s classic and simple. 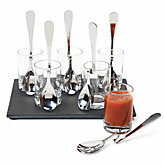 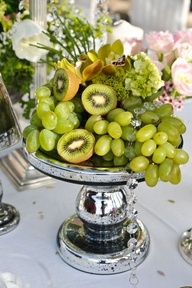 Add glamour or an edge to your table with this glossy touch. 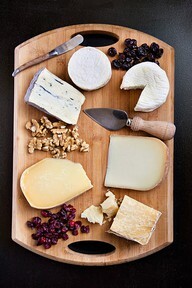 Cheese Trays are a world of their own. 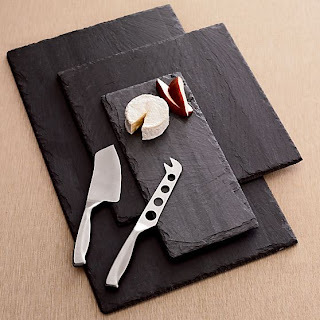 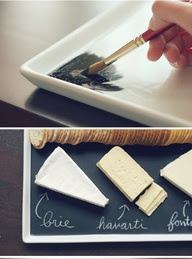 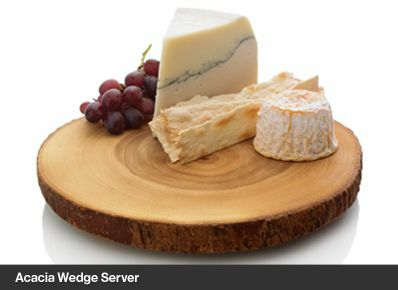 These are so great because you can identify the cheeses and even leave little notes for your guests. 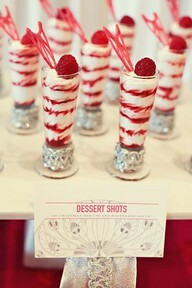 This adds some fun! 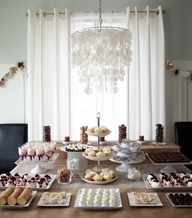 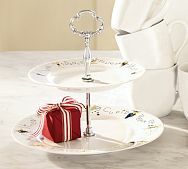 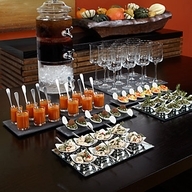 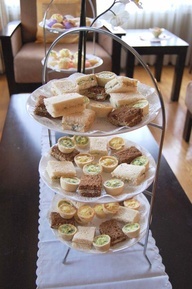 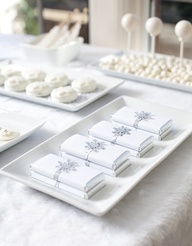 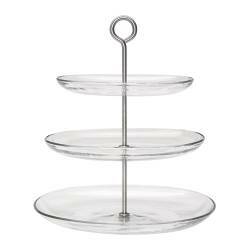 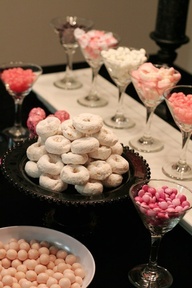 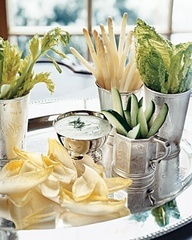 Mixing 2 & 3 Tiered platters, cake stands and regular plates allow the eye to see everything you’re serving. 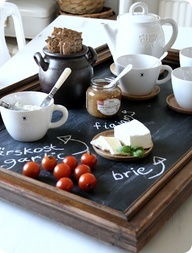 Plus it gives the table dimension and will look amazing! 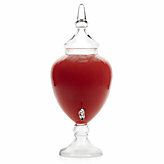 People love it! 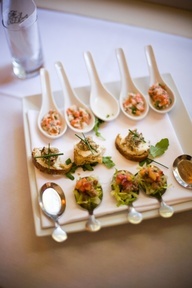 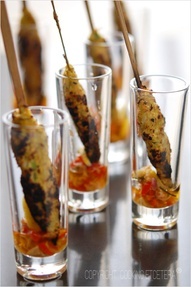 Individual portions are the perfect fancy touch! 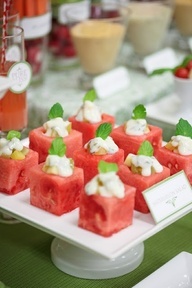 I hope I inspire you to serve food in a beautiful way! 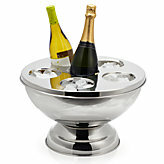 Pictures from Pinterest, Etsy, Crate & Barrel, ZGallerie, Pottery Barn & Ikea.